I have always liked Jello. It’s one of those yummy desserts that is super easy to make. I have also always wanted to make my own jello with my fruit juice of choice. 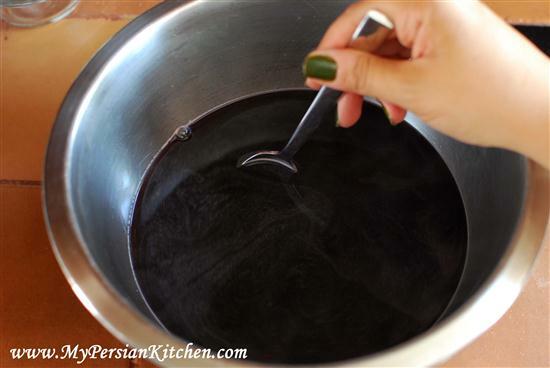 Today’s recipe is pure Pomegranate Jello! It’s super easy to make, I followed the directions of the gelatine package. 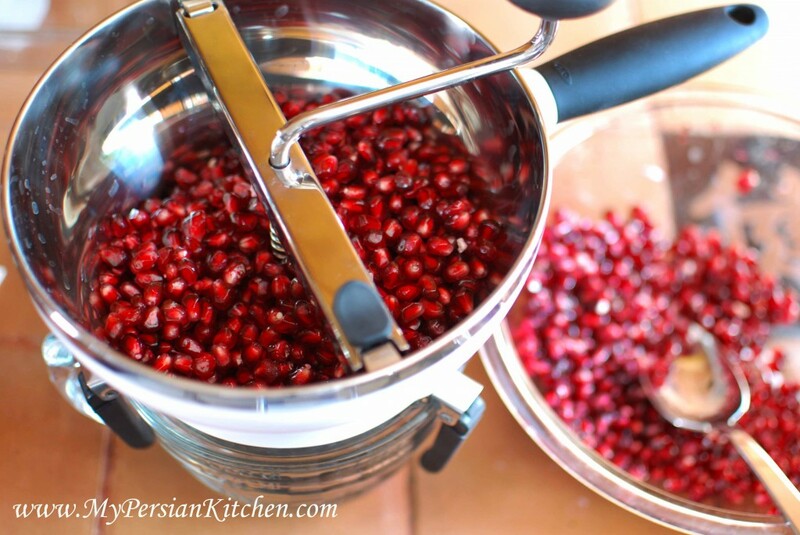 For this recipe you can juice your own pomegranate or use 100% Pomegranate juice of your choice. 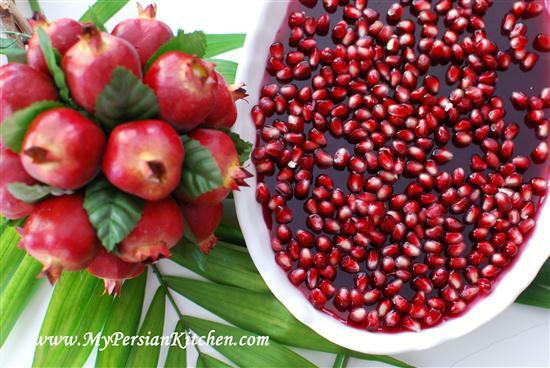 Place 1 cup of pomegranate juice in a bowl. Sprinkle the four gelatine packets that come in the box on top of the juice and let stand. 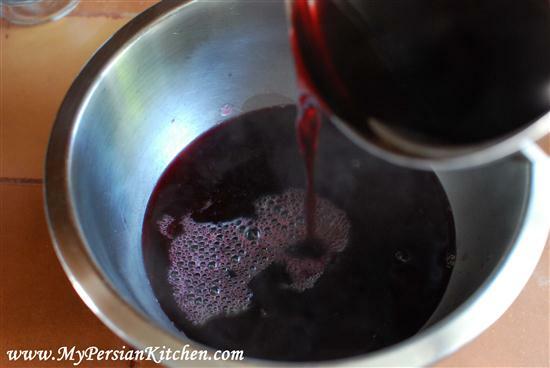 Bring 3 cups of pomegranate juice to a boil. Add hot juice to the bowl. At this point also add sugar if you wish. I didn’t add any to mine. Mix well until the gelatine is dissolved in the juice. Pour mixture in your bowls of choice, either a big bowl or in smaller serving size bowls. Let the liquid come to room temperature then cover tightly and place in the fridge for at least 4 hours. 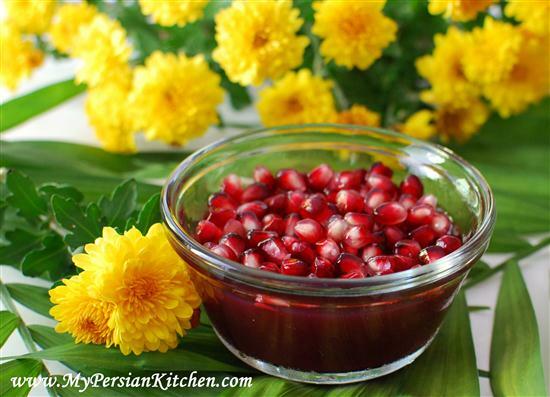 When ready to serve sprinkle pomegranate arils on top. 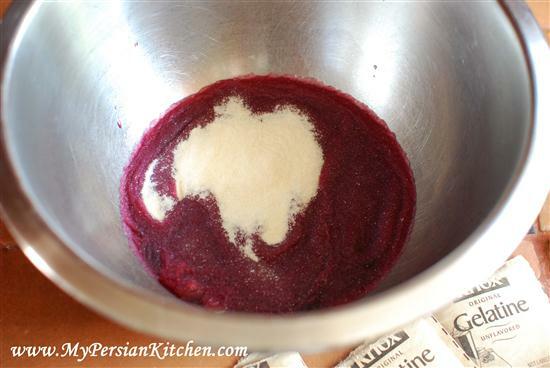 Some people like to mix in the pomegranate arils with the jello. You can place the jello in the fridge for about one hour, then add most arils on top, cover and place back in the fridge. Once ready to serve sprinkle remaining of arils on top. 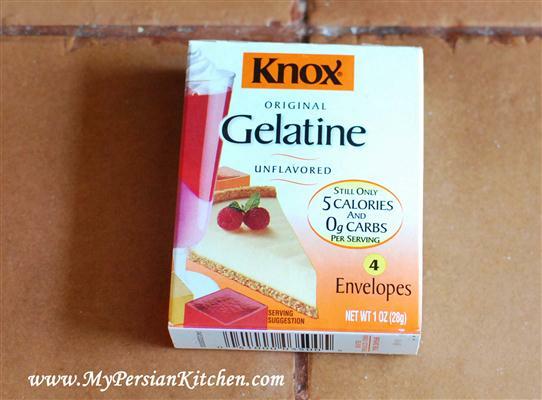 Thank you for your collection of vegetarian Persian recipes, but pomegranate jello should not be included in this section since gelatin is made from animal bones, and therefore NOT vegetarian. Thank you for pointing it out, you are absolutely right! Loved the eggplant dish! I hear there’s a Shirazi dish with tilapia and pomegranates? Has anyone made or heard of this dish? This is exactly what my better late than never no-ruz dinner needs to offset all that green.